If you're a Windows user and wanted to try out different operating system on your computer, Linux is definitely a good choice to give it a go. Linux is open source operating system and it's free, so why not? 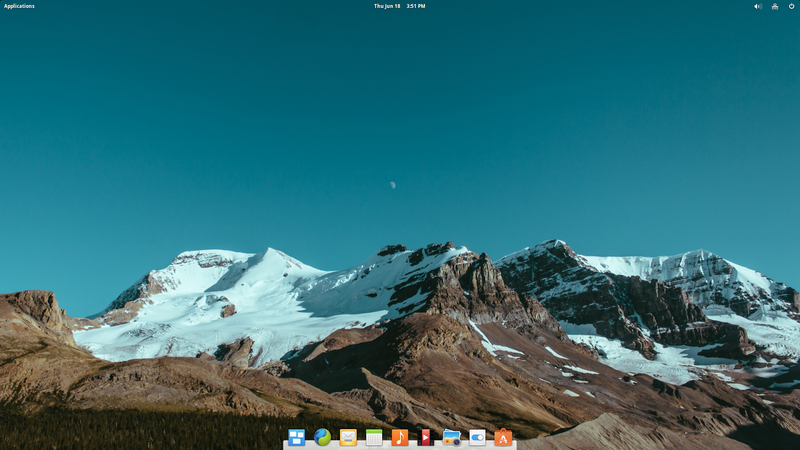 elementary OS Freya based on the rock solid Ubuntu 14.04 LTS, is best known of its nice UI - sleek, simple and minimalist design. 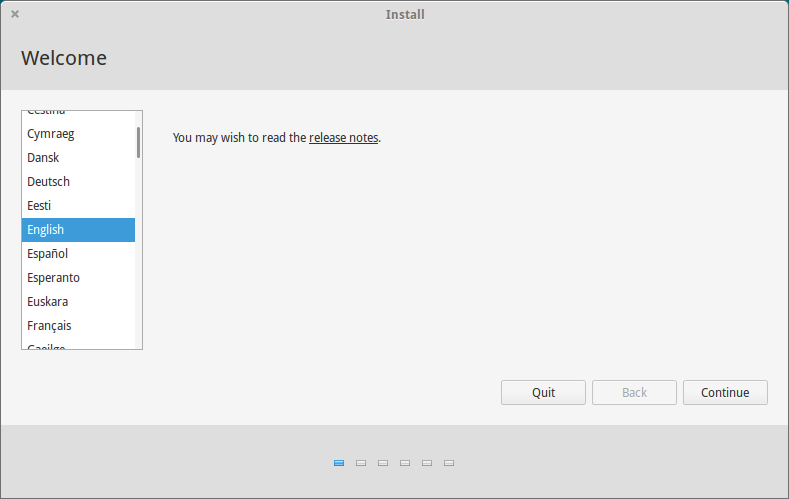 It is compatible with Ubuntu's repositories and packages. You will have a wide range of compatible Linux software that can be install on elementary OS. 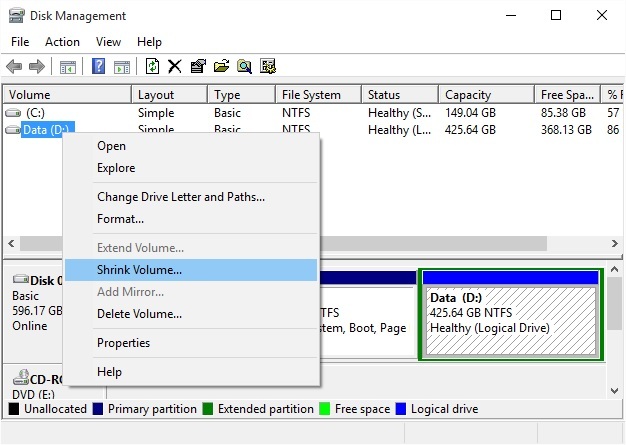 On Windows 10, press the Windows key and type partition and enter Create and format hard disk partitions. 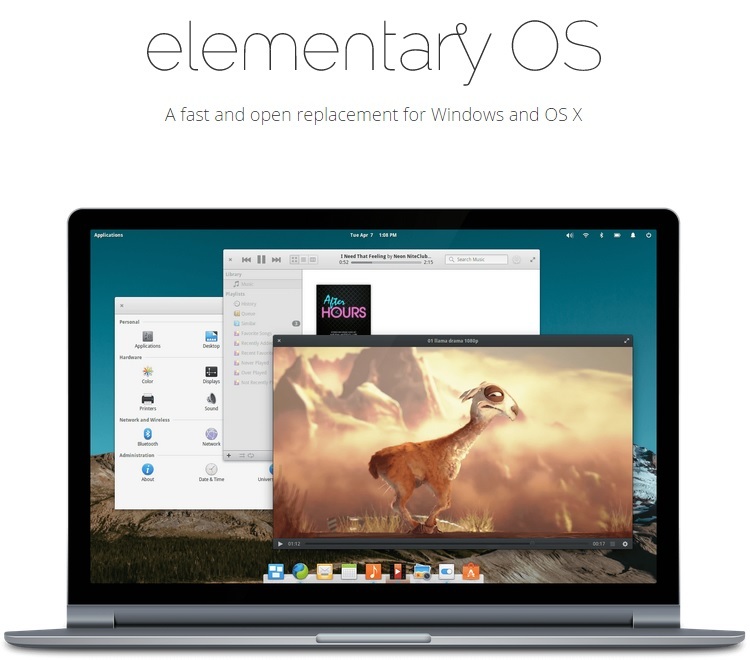 100 GB or more of free space for elementary OS will be just nice, it's your choice. I allocate 130 GB. Click Shrink. This process is ridiculously fast. 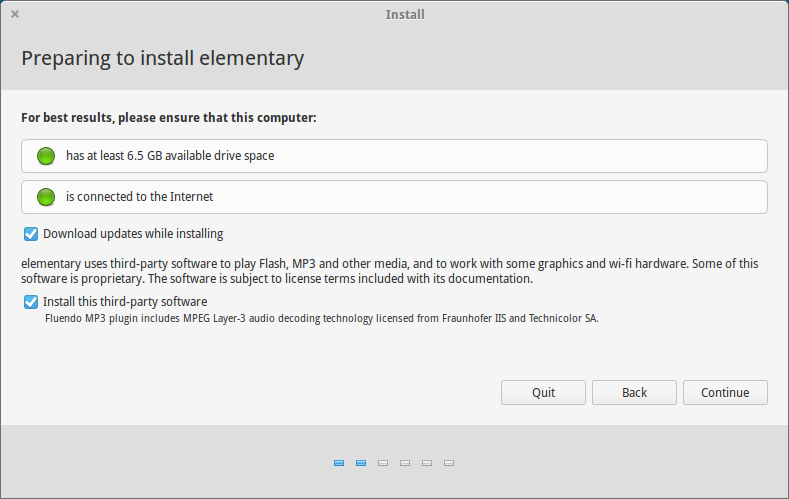 Download elementary OS Freya ISO image file. 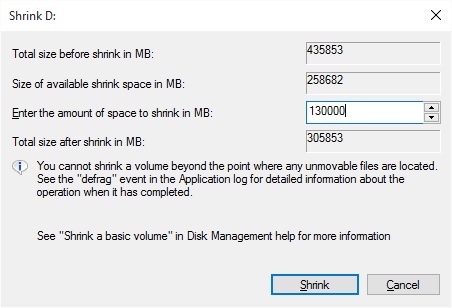 Insert USB flash drive (at least 1 GB of free space) and select it in Device list. 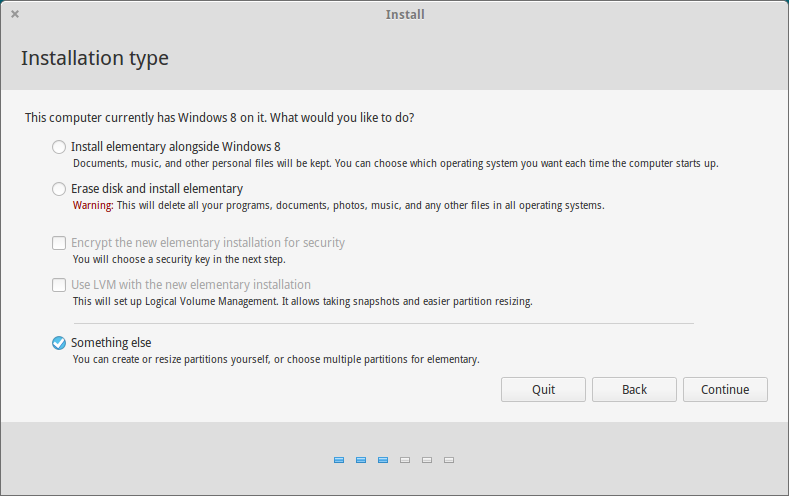 Select ISO Image in Create a bootable disk using and open elementary OS Freya ISO file. Click Start and wait until it is finished. 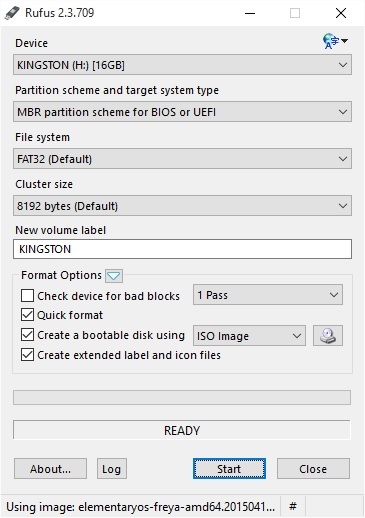 Restart your computer, press Esc or F10 function key before it boots Windows 10, this allows you to choose to boot USB drive or hard disk. The key may vary, but all computers have this features. Refer the computer user manual for the correct key. Choose your USB drive to boot elementary OS. 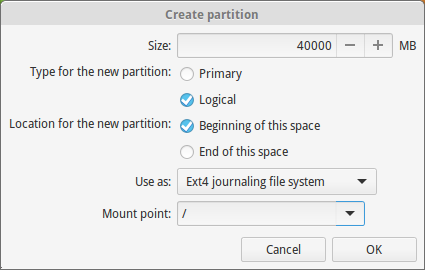 Be careful when creating partitions in elementary OS. This is a key process which enables dual boot Windows with elementary OS. 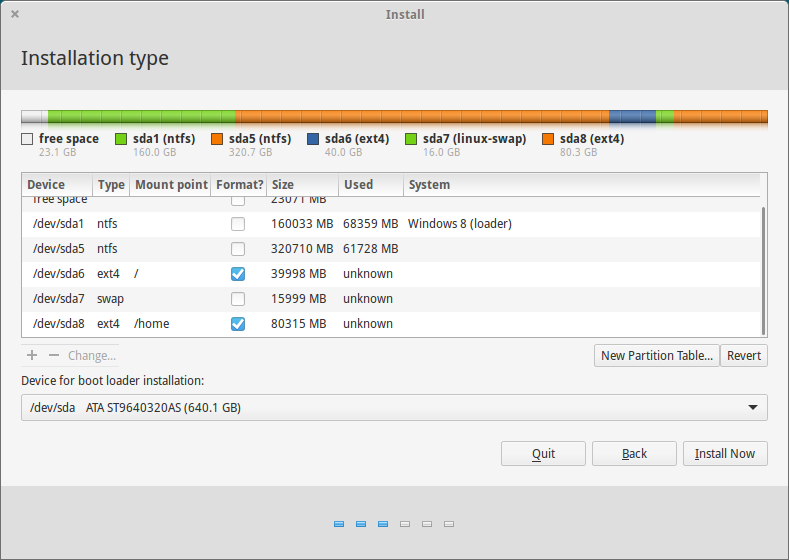 The installer will show you all the partitions in hard disk. 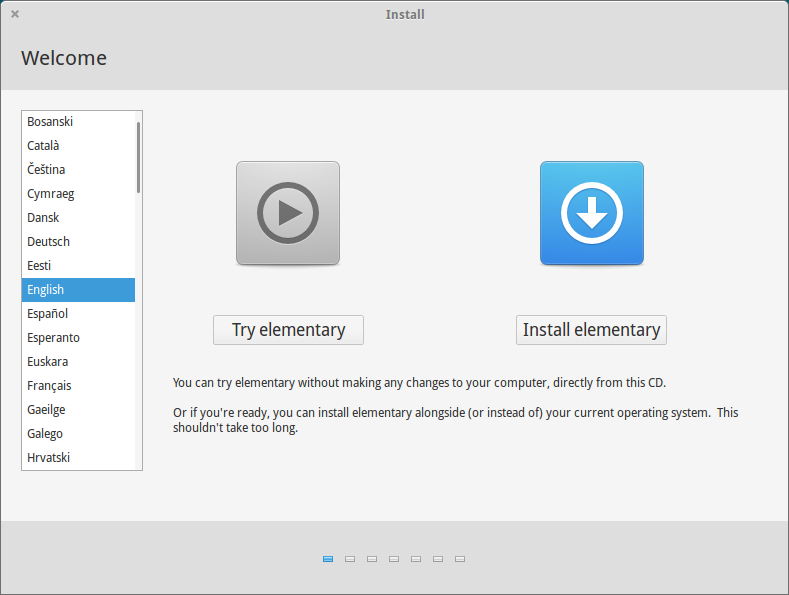 elementary OS will install in the free space (grey bar) which previously created using Windows 10's Disk Management. In the picture shows I have 136.3 GB. 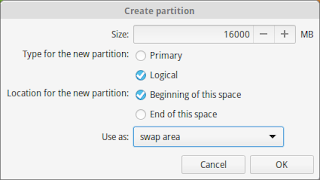 Click + button to create partitions for /, swap and /home. / is a partition for file system, it is not necessary to have so much of free space. I give it at most 40 GB of free space. Swap is used when the physical memory (RAM) is full. The amount of swap space should be equal the double amount of your RAM. I have 8 GB of RAM so I allocate 16 GB for swap. /home space is the partition which can store documents, pictures, videos, and etc. You should allocate all the free space left available for this partition. Double check all partitions to make sure everything is right. Click Install Now and follow its instructions. After installation completed, reboot computer. Next startup GNU GRUB menu will appear with a list of OS selection to Windows and elementary OS. So there you have it, Microsoft Windows 10 and Linux elementary OS Freya both right in you computer in perfect harmony. I've got a problem with ITunes. I can't install ITunes into my laptop (my laptop is using window 10). Every time it boots up, it seems that your computer is getting slower and slower. Here are some steps you can take to get faster boot up times for your Windows PC.